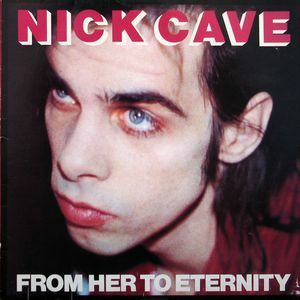 If there was any concern that Nick Cave’s new post Birthday Party work wouldn’t match that band’s insane intensity, that concern was crushed by From Her To Eternity, an album full of a dark, powerful, unique blend of blues and rock that had not been heard before, and rarely matched since. No song was more intense than “Saint Huck” which found Cave channeling the blues, Americana, and murder ballads in an epic song featuring some of his most tortured, primal scream-like singing. Think it’s intense on record? Seek out live versions, where this already red hot beast turns into something even more potent. It was a great start to a wonderful career.